Find a vacation home to rent in Dresden Government Region from our list of vacation rental properties. Campaya has over 42 vacation homes available in Dresden Government Region, which give you the possibility to locate a unique accommodation in Dresden Government Region which completes your check-list in search for the perfect self catering vacation apartments in Dresden Government Region or vacation villas in Dresden Government Region. This cosy holiday home is located in the garden of the family house in Koenigstein, which stands high above the river valley and offers a beautiful view of Saxon Schweiz. This bright and fashionably furnished holiday bungalow is located on a beautiful garden property. This is a very beautiful house, furnished in country-style and has a cosy fireplace and conservatory. Boat rentals and other services are offered in the nearby reservoir. This nice house is located in a rural area on a shared property and has steep stairs. Toys and playing things are available. Sport ground is located 200 metres away. Very elegant cottage situated on a shared plot is equipped with terrace and large playground. 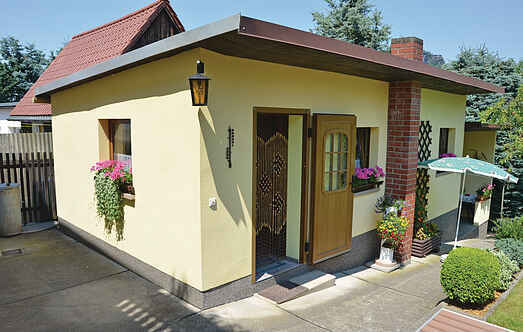 Rental bicycles and discount on bowling and sauna are available at the Berghotel Bastei.